- put in place modern electronic means of communication between the Bureau and the notifiers, i.e. web application, online database. The Bureau counts on the collaboration of all administrations, broadcasters, frequency managers or other organizations concerned to respond to the questionnaire by 15 January 2018, (it will be definitely closed on 31 March 2019). If you answered "Yes" indicate starting year and purpose. 7. Are you familiar with the regulatory publication "HFBC Schedule"? 8. Are/were you a subscriber of the ITU HFBC Schedule? 9. Currently the Schedule is published on a CD-ROM. Do you think that an online publication would be convenient? 11. 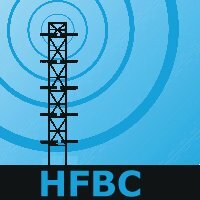 Do you regularly notify your HFBC service to the ITU according to RR12? 13. Do you regularly notify your HFBC service to your Regional Coordination Group? 14. Do you coordinate your HFBC schedules? If you answered "Yes", how do you coordinate them? 15. Do you regularly participate in the coordination meetings organized by the Regional Coordination Groups? If you answered "Yes", how do you participate in the coordination process?